I am always rattling on about The Bishopsgate Singers, who meet at the Bishopsgate Institute every Monday night and are like my homies, as it is the only choir that I started from scratch, and did not inherit. We are in one hall, learning pop and world by ear, while the massively marvellous sounding Royal Philharmonic Choir are learning whizzy classical works in the the other…now that would be a fine collaboration, but I feel it may never ever ever happen ( ha ha…I also feel a challenge coming on!) 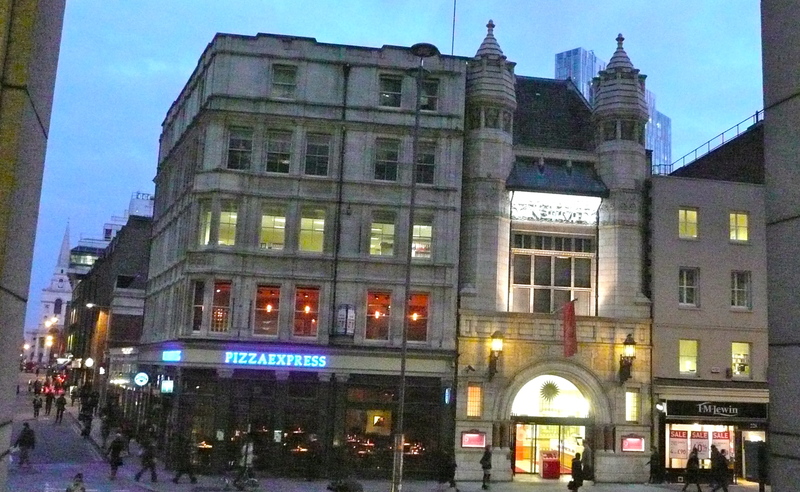 I thought it was time to put you out of your misery and show you a picture of the front of the Bishopsgate Institute, neatly tucked in between Pizza Express and shirt shop, so it would be easy to miss. There now is an entrance round the corner in Brushfield Street, next to Starbucks, and a lovely cafe. The Building is listed, built in the 1890’s and goes back for miles. It has 2 enormous halls, a library and lots of smaller spaces, the list of course and concerts they run is exciting and varied. A quick picture of the church and the goat in Brushfield Street, just as the sun was going down. Ok the secret is out…I love this video..it is so beautifully styled. I love the shadowy dancing boys and the bare tree silhouette on CC’s dress and in the distance. Written by Priscilla Renea Hamilton from the US ( 23 years old!). As a songwriter she has written for several big singers and has a couple of albums out too. The goat is great! 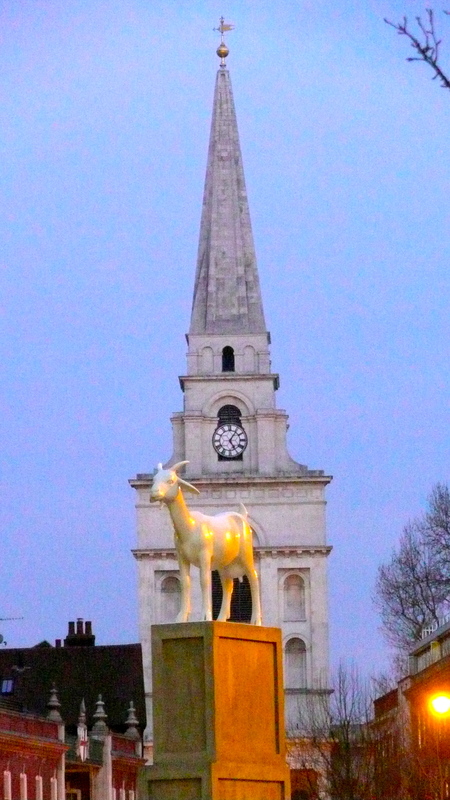 A statue of a goat in central London. Do you know the story behind it?